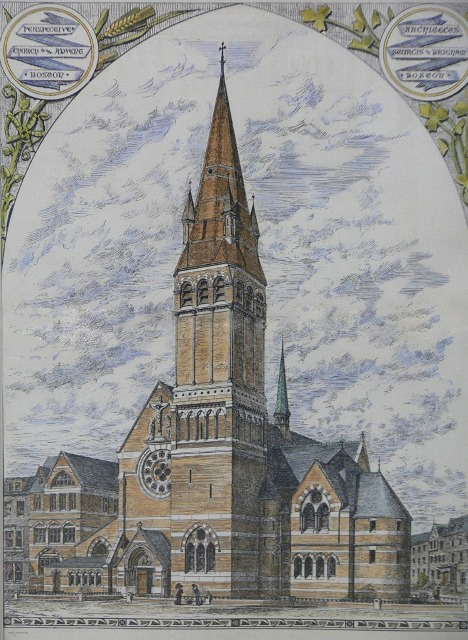 Founded in 1844 to bring the liturgical reforms of the eleven-year-old Oxford Movement to America’s shores, The Church of the Advent immediately garnered both converts and controversy for the cause of Anglo-Catholicism. On his first visit, the Bishop of Massachusetts was so offended by the presence of a cross and candlesticks on the altar that he vowed never to return unless they were removed (they were not, he did). 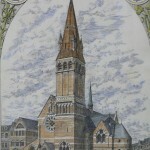 John Sturgis designed a church perfectly attuned to High Church liturgy and music, derived from English models and blessed with a fine acoustic. Since its consecration in 1892, the parish has devoted considerable resources to a music program, including an eighteen-voice professional choir that performs some sixty Mass settings and 150 anthems and motets per year. Since 1883, the Advent has known only two organs: its original and perhaps forgettable Hutchings-Plaisted, and its pacesetting and much-revered 1936 Aeolian-Skinner. 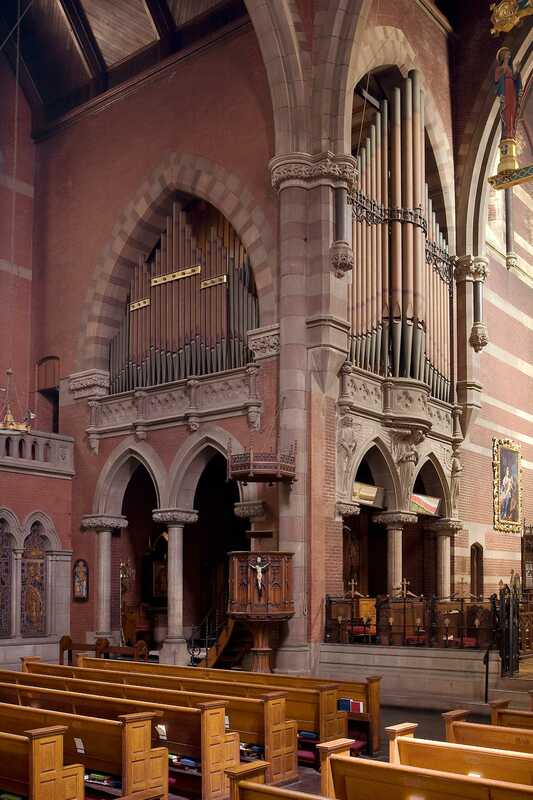 Together with its sister Aeolian-Skinner at Groton School, the Advent organ was the first to encapsulate G. Donald Harrison’s fully mature concepts of tonal design and voicing: entirely straight stoplist, low pressures, unenclosed Positiv, and emphasis on flue choruses rather than on reed as the dominating tonal ingredient. (Its stoplist was such a break from the usual Anglo-American affair, few people noticed it contained neither harp nor chimes.) After minor changes in 1941 and 1950, the flue choruses were revoiced to be brighter, louder, and more articulate in 1964, with several flutes being rebuilt or replaced. Nelson Barden undertook much important mechanical restoration from 1978 to 2005; tonal restoration from 2005 forward, by Jonathan Ambrosino, has reversed the most obvious work of 1964. 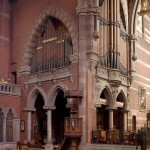 While created as much with organ literature as accompaniment in mind, the organ’s layered choruses and mixtures provide a subtle and sophisticated accompanimental partner to the professional choir, and more than anything its tutti recalls the multi-mixtured, nineteenth-century English organs of Willis, Lewis, and Hill.